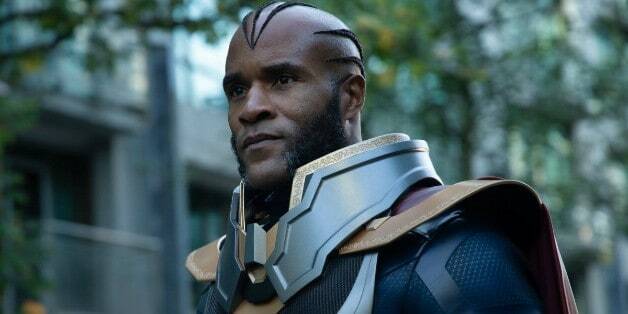 Oliver Queen (Stephen Amell), aka Green Arrow, made a deal with The Monitor (LaMonica Garrett) during the Elseworlds event and it may have laid the foundation for the Crisis on Infinite Earths event to come to fruition. Crisis on Infinite Earths is a book that has some truly iconic imagery, one of the most iconic being the two split images of Superman in which he’s holding the dead body of Supergirl in one, and the body of The Flash in the other. It’s a moment that’s been teased on The CW for years. Ever since the first episode of The Flash in 2014, the scarlet speedster’s Crisis fate was teased in the form of a future newspaper written by Iris West (Candice Patton). Even in season 2 of Supergirl, the very image of Superman holding his cousin in his arms was a moment that paid homage to the iconic event. The two heroes plaid an integral part in saving the day during the Arrowverse Elseworlds event, which concluded with an episode of Supergirl last night. The Flash (Grant Gustin) and Supergirl (Melissa Benoist) decided to run across the Earth in two different directions in an attempt to slow down time and stop The Monitor, but Green Arrow knew that would kill both of the DC heroes in the process. To stop this from happening, Green Arrow bargains with The Monitor to save their lives, which the villain does. Of course, The Monitor doesn’t just do this for free. The villain asks the inaugural Arrowverse hero for something in return but the audience is never shown or told what it was. The final moments of Elseworlds teased next year’s Arrowverse event, Crisis on Infinite Earths. 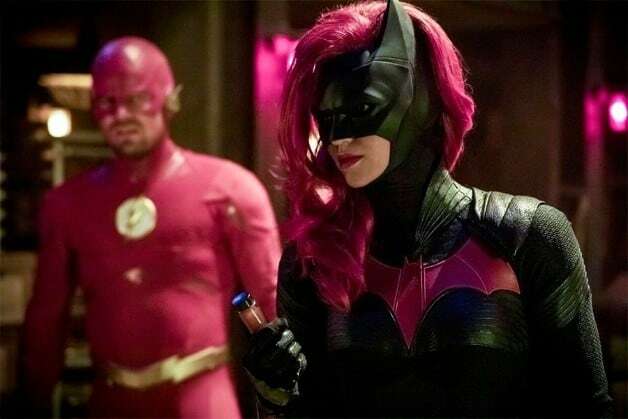 Given that the deaths of Supergirl and The Flash are so important to the original Crisis on Infinite Earths story, it’s possible that the folks behind the Arrowverse are trying to throw a curveball and instead plan on killing Green Arrow during the event. No official announcement has been made regarding that decision but given that Arrow is the longest running of Arrowverse shows, it’s not out of the realm of possibility that the series could be coming to an end. That being said, the show could simply pass on the hood and bow to someone else, much like how four different Supermen took over the role of Superman following his death in the comics at the hands of Doomsday in the mid-90s. We’ll be sure to keep you updated on all news regarding Arrow as soon as more information becomes available. What deal do you think Green Arrow made with The Monitor? How do you think The CW will adapt the iconic Crisis event for its own Arrowverse? Let us know your thoughts in the comments below! Arrow stars Stephen Amell as Oliver Queen/Green Arrow, Emily Bett Rickards as Felicity Smoak, David Ramsey as John Diggle, Paul Blackthorne as Quentin Lance, Juliana Harkavy as Dinah Drake/Black Canary, Rick Gonzalez as Rene Ramirez/Wild Dog, Echo Kellum as Curtis Holt/Wild Dog and Katie Cassidy as Laurel Lance/Black Siren.